Are you ready for Thanksgiving? 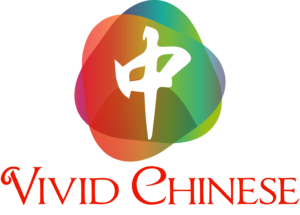 Do you know how to say “turkey” in Chinese? We made a special holiday infographic for you! 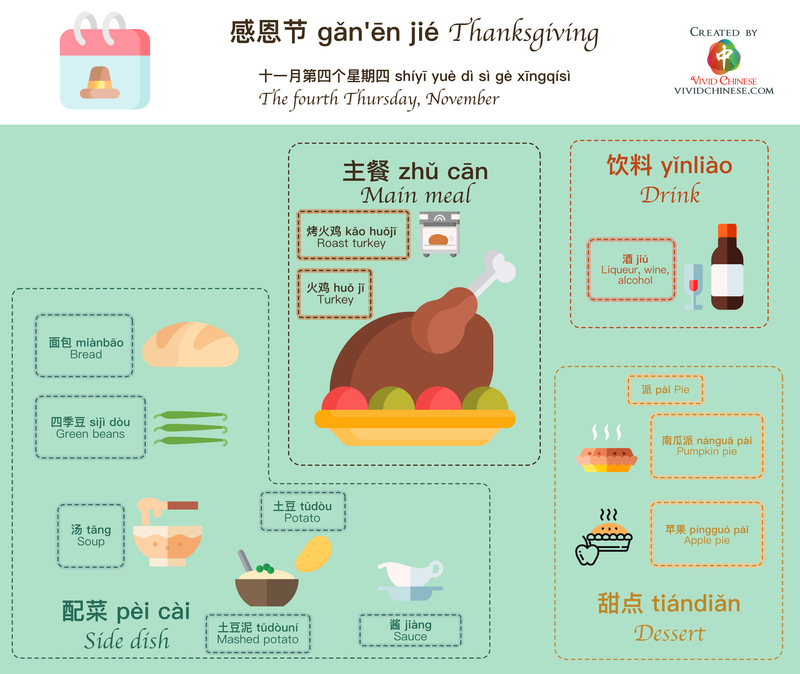 15+ vocabulary you must know for one of the biggest holidays, including 感恩节 gǎn’ēn jié Thanksgiving, 十一月第四个星期四 shíyī yuè dì sì gè xīngqísì The fourth Thursday, November, 主餐 zhǔ cān Main meal, 烤火鸡 kǎo huǒjī Roast turkey, 火鸡 huǒ jī Turkey, 配菜 pèi cài Side dish, 面包 miànbāoBread, 四季豆 sìjì dòu Green beans, 汤 tāng Soup, 土豆 tǔdòu Potato, 酱 jiàng Sauce, 饮料 yǐnliào Drink, 酒 jiǔ Liqueur, wine, alcohol, 甜点 tiándiǎn Dessert, 派 pài Pie, 南瓜派 nánguā pài Pumpkin pie, 苹果 píngguǒ pài Apple pie. Thanks for the Thanksgiving language Placemat! Haha! Glad you like it!